Read this to learn about the manner in which Freemius handles payout to its partners (sellers). 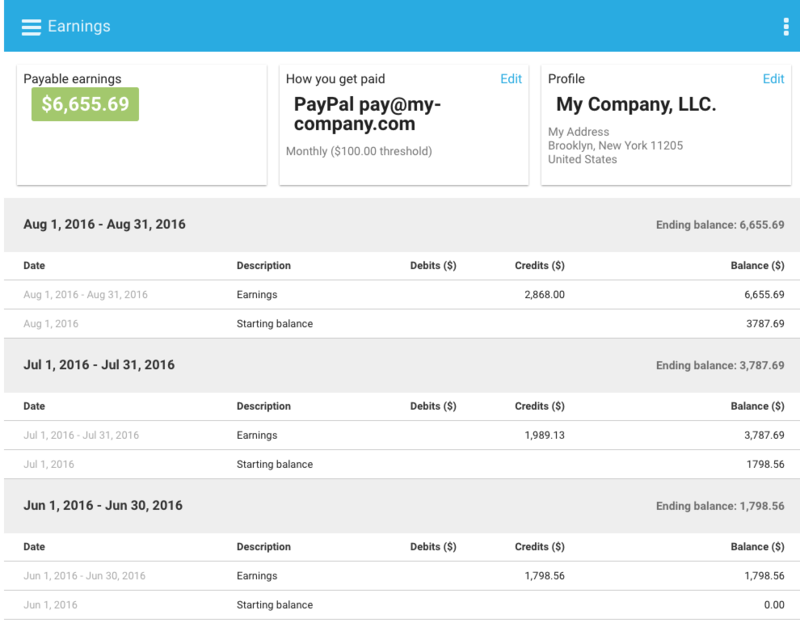 In the ‘My Earnings’ screen you will be able to see your payable earnings amount, according to your accumulated monthly sales. Your earnings are automatically calculated on the 1st of each month. Payout is made on the 10th of each month, with a $100 minimum threshold. In case your monthly earnings are below the minimum threshold – your earnings will automatically be added to your balance for next month. For the sake of a 30-day period refunds (that is, refunds to clients who purchase your plugin/theme), the earnings for month X are calculated on the 1st of month X + 2. So for example, if your gross income between 01/01 – 01/31 was $1,000 and at the same time you had to process $500 of gross refunds between 01/01 – 29/02 (for payments during January) – your earnings on March 1st will be $1,000 – $500 = $500 (minus commission). If that number surpasses the minimum threshold ($100), which in this case – it does, the payout will be processed on the 10th of March. This system allows us to refrain from connecting directly to your bank, your PayPal or your credit-card, and still enables us to make sure that you are good to cover any refunds in case your clients request them. For any clarifications on the subject of your earnings – please feel free to contact us!